The Federal Energy Regulatory Commission (FERC) grants licenses for hydropower projects for a period anywhere from 30 to 50 years. Licenses define how projects may operate for power generation and include provisions that benefit the public and the environment. Active public involvement in the relicensing process is important to ensure that future licenses balance the need for power production as well as the needs of recreation, safety and the environment. Equally important are the discussions, or consultation, with state and federal agencies managing natural and cultural resources, Native American tribes, environmental groups and the public; known collectively as stakeholders. Partnering with stakeholders allows Idaho Power to effectively address project-related impacts on the environment and the need for reliable, fair-priced energy services. Throughout the course of the relicensing process, stakeholders are provided various opportunities to participate through noticed public meetings and solicitations for comment on official documents. Stakeholder input helps define the issues that will be examined in the relicensing process. Once the issues are defined, Idaho Power studies the environmental and economic impact of the project and summarizes the results in a license application. When completed, Idaho Power provides copies of it and the full study reports, including recommendations for offsetting the project’s impacts on the affected environment, to FERC, resource agencies and interested stakeholders. The entire relicensing process can take anywhere from five to 10 years, depending on the complexity of issues. After receiving the application, FERC evaluates the application and develops license orders. When FERC develops license orders, it is required to consider both the power and non-power benefits of the project equally. A successful application proposes ways to balance power and non-power benefits. The application should keep the project cost-effective while addressing project-related impacts on the environment and providing recreation opportunities. 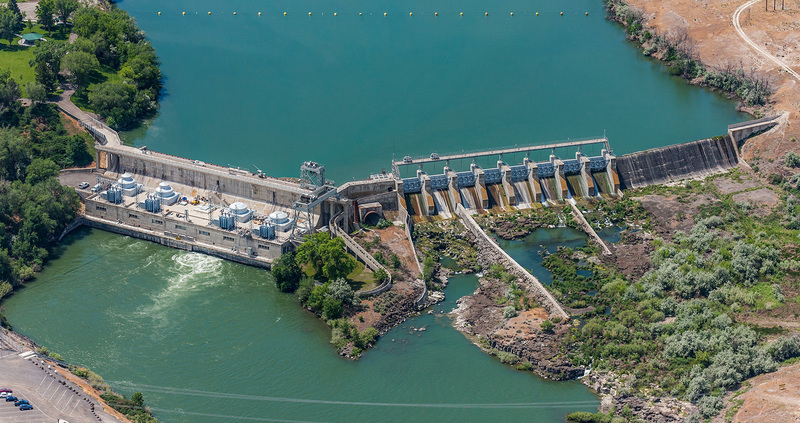 The Hells Canyon Complex includes the Brownlee, Oxbow and Hells Canyon projects, reservoirs and power plants. All of these facilities operate under the same license (No. 1971) granted by FERC. The existing license expired in July 2005. In preparation of the expiration, Idaho Power filed the final license application for the Hells Canyon Complex on July 21, 2003. In December 2009, the company withdrew and resubmitted the Section 401 Water Quality Certification Application to the states of Oregon and Idaho, which must be obtained before a new license can be issued by FERC. Idaho Power will operate on an annual license under the terms and conditions of the prior license until a new license is issued by FERC. On Sept. 28, 2012, Idaho Power was granted a 30-year license to continue operating the Swan Falls power plant. The Swan Falls license application was filed in June 2008, prior to the previous license expiring in 2010. Statement of Costs in 2017 for Hydroelectric Plant Relicensing and Protection, Mitigation and Enhancement.